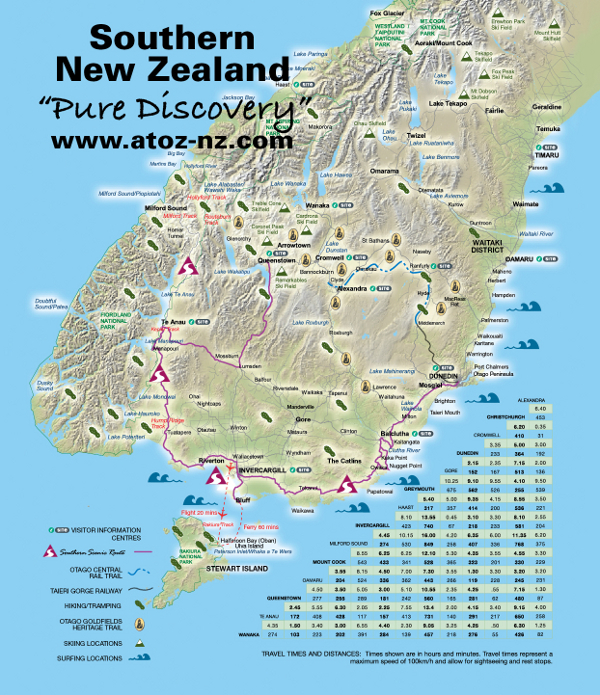 This map highlights the Southern Scenic Route from Dunedin to Milford Sound and Queenstown. We have also included a Driving Times and Distance Chart. Distances are in Kilometres and times in Hours and Minutes.